These cute spikey upper false lashes can be fixed with lash glue (sold separately) along the outer edges of your natural upper lash line to create a pretty dolly style big eye effect, without being too overpowering. 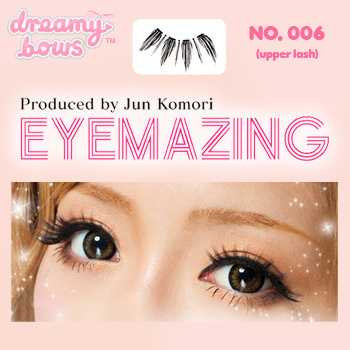 This style is an accent lash which is about 60% of the width of standard Eyemazing upper lashes, and is designed to compliment your natural eyelashes. Lash band approximately 20mm wide. Can be trimmed to fit.